“In 2010, 8 out of 10 new business failed.” – US Department of Commerce / Small Business Association. Developing a business plan is an essential step for growth in any industry. The need for a business plan in our industry has never been greater. Recently we have seen a steady increase of mergers and acquisitions of the major multinational music and entertainment conglomerates. These market conditions as well as technology advances, file sharing and radio consolidation have changed the industry landscape and compelled many professionals to start their own independent operation. 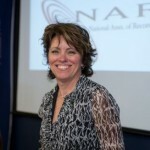 This NARIP workshop is designed for the small to established start-ups in the music business in need of a business plan, including the independent entrepreneur. For the small start-up, the business plan is a road map through the maze of obstacles and funding needs to become an established and recognized brand. This workshop will help you define your target in a crowded and competitive marketplace, and form a plan to hit it. We will walk you through the most important components of a business plan and give you an outline to apply to your business and hit your target. If time permits, 1 or 2 participants will be selected to present their 1-minute plan pitch and describe their product or service, target audience and competitive advantage for feedback and critique. This workshop is essential for anyone in the record or music industries who currently does not have a business plan or who would like to put the finishing touches on an existing plan. Special thanks to Harry V. Redinger, President of the Strategic Path Group, Business Plan Development and Corporate Training Specialists. Call us at 818-769-7007 or email kirstin AT narip DOT com. N8Beats is a music producer, certified recording engineer, public speaker and founder of N8Beats Production. He started nudging his way onto the music scene in 1998. After graduating from high school early to pursue his career, he graduated from the Los Angeles Recording school with honors in 2002 (where he studied under American Idol’s Simon Cowell), followed by Musician’s Institute of Music Business. He began providing industry talent with a way to perfect their music and develop their brand. Nate was part of the pilot project for Youth Infusion, a non-profit organization dedicated to helping children at risk through music. He lives by the motto: “Good people, good business, good life”. Today, in addition to producing and recording music, N8Beats serves as a Director of the National Association of Record industry Professionals San Francisco chapter and can be seen co-moderating lively panel discussions for the group. He producesfor record labels such as Strange Music, and has studied under NWA’s Arabian Prince and worked for such artists as Tech N9ne, Brotha Lynch Hung and Mac Dre. He has created music for Nintendo, Adidas, Sun Micro Systems and has completed production of over a dozen commercial independent hip hop albums. Also, N8Beats has consulted for Web companies HOTorNOT.com and the entrepreneur’s network PerfectBusiness.com. Other artists N8beats has produced with include Rza / North Hollywood Wu-Tang West Studios, Engineer Steve Miller – DJ Paul Oakenfold, Cognito, Tech N9ne, Krizz Kaliko, DJ Chill, Abduel Hall (PH Balanced Music / Patty Howard), Author Dan Kimpel, Mac Dre, Cool Nutz, Lenny Harold. 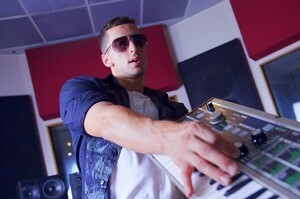 For more information on Nate Beats, visit http://www.natebeats.com or email Nate at nate AT narip DOT com.